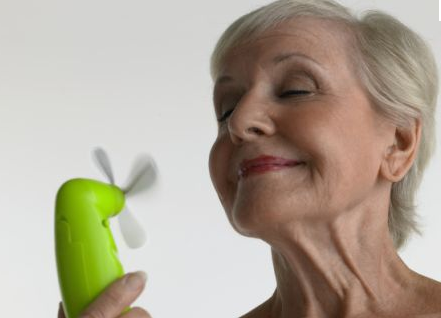 Is There a Benefit to Menopause? Menopause is a challenge, to say the least. Those night sweats and mood swings can be rather intense and can disrupt your life. But now someone has found a little good news about menopause. According to the latest research, women who have menopause also have a 11% lower risk of heart disease in the 10 years following their menopause! According to one report, the researchers do not know why this occurs, but there is a theory that the blood vessel activity that is generated during menopause somehow pumps the heat and its vessels and that helps combat a hardening of the arteries. It’s almost like the woman is doing some cardio!